A special tax on the world’s biggest technology companies is looking likely with the government’s proposal reportedly winning the support of crossbenchers senators. 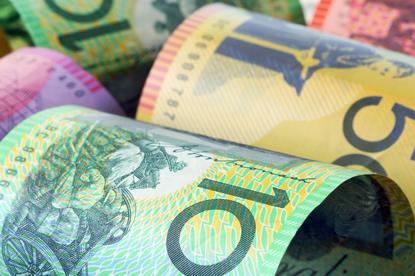 The tax has been offered by the government as a sweetener to crossbenchers, to support its $140 billion income tax cut plan, and bid to lower the corporate tax rate for big businesses which will cost $35.6 billion. Centre Alliance senators Stirling Griff and Rex Patrick told Fairfax Media the party was "100 per cent behind a digital economy tax proposal". Labor has also indicated its in-principle support for a cracking down on digital companies like Google, Facebook and Uber. In his Budget speech last month, Treasurer Scott Morrison said that: “The next big challenge is to ensure big multinational digital and tech companies pay their fair share of tax”. Morrison has been emphasising the importance of government’s working together to crackdown on digital businesses in recent days at the G20 in Buenos Aires. In March Morrison said “the new economy shouldn't be some sort of a tax-free environment” adding that governments needed to work together on taxing new economy multi-nationals “otherwise it will be clunky, it will be clumsy, it won't be well-targeted and it will steal from the potential growth that can be achieved by the new economy”. The digital economy “can't be a tax-free club” he added. Morrison’s proposal follows similar discussions taking place in the European Union around taxing technology companies. Earlier this year EU ministers met to discuss a plan to impose a three per cent levy on the digital revenues of large multinational corporations. The EU Commission and a number of member states accuse ‘Big Web’ of paying too little tax in Europe, and exploiting an outdated tax system by shifting profits to low-tax countries. German Finance Minister Olaf Scholz told reporters the issue posed a “moral question” although did not take the floor to debate the matter. Some 200 companies would fall within the scope of the new ‘Google tax’, European officials said, estimating additional annual revenues of about five billion euros at EU level.